Arctic Heating & Air, Inc. is an experienced heating and cooling contractor providing maintenance and repair work for all makes and models of HVAC equipment. We are dedicated to the complete satisfaction of our customers, and pride ourselves at bringing some of the finest indoor comfort control services to the Los Angeles area. Arctic Heating & Air, Inc. HVAC technicians are experienced and ready to handle any air conditioning or heating requirement, from seasonal tune-ups to complicated repair work. We understand the importance of your indoor comfort control, and the status of your heating and cooling system is our utmost concern. With our fast service for greater the Los Angeles area's air conditioning and heating needs, you can be confident in trusting us with your indoor comfort control requirements! 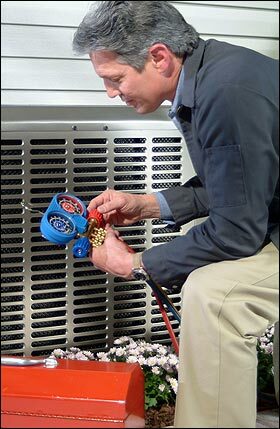 Though we've got you covered with our ability to service and repair all makes and models of HVAC equipment, your best route for reliable heating and cooling is a preventative maintenance plan which protects your air conditioning and heating investment. This helps avoid break downs and the poor performance and excessive energy use resulting from a neglected heating and cooling system. With a Arctic Heating & Air, Inc. preventative maintenance plan, your HVAC system will stay running at peak performance as it was designed to! Contact us today for service on all makes and models of HVAC equipment, or to find out more about our preventative maintenance! Don't get caught in the middle of a summer or winter season without the peace of mind knowing that your indoor comfort system is up for the job!